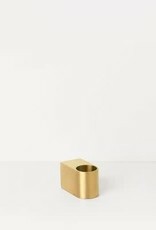 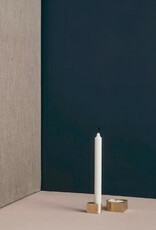 Block candle holder has a clean minimalist look, a mat finish and is made of solid brass. 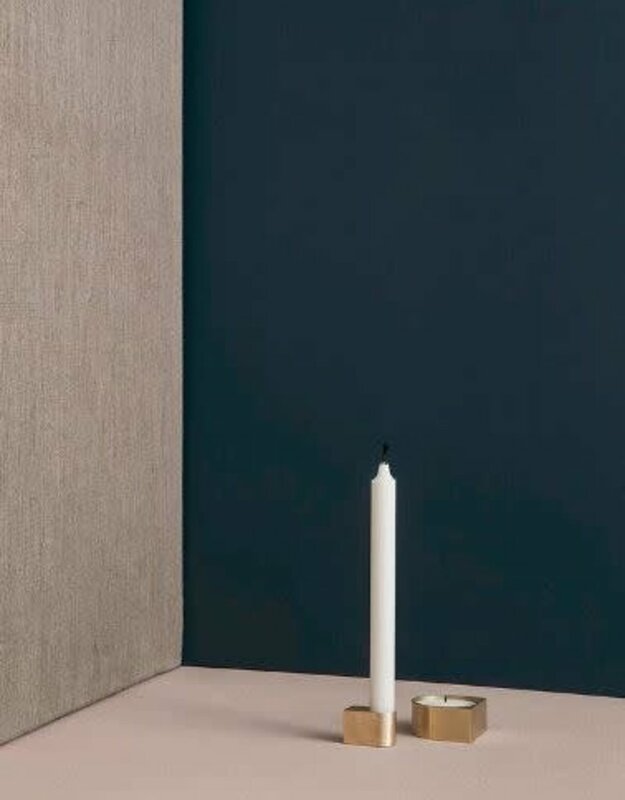 Due to the heavy brass material and the balanced design the candle holder is robust and stable and holds regular tall candles with out any sign of wobbling. 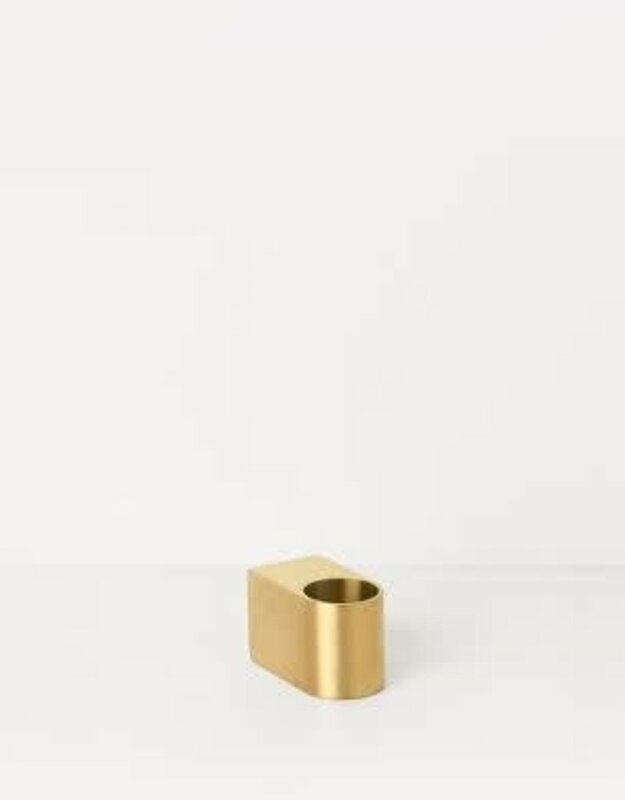 Size: W: 2" x H: 1"